Over the last several weeks, I have been fine tuning my ideas on the up-front communication concept. 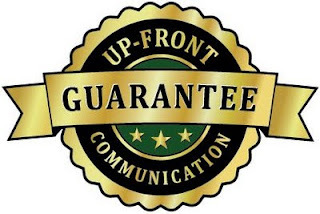 We now have "Up-front Communication Training" at Rainforest Plumbing & Air! This morning was the first whole-company training meeting on the topic. 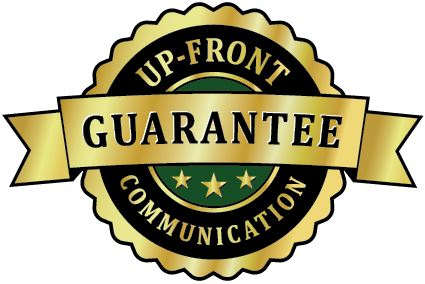 Everyone listened and participated well as I unveiled the new up-front communication guarantee logo and the new Up-front Agreement. I explained that my intention was to change the entire company culture so that up-front communication was the central focus. This is way more than just a marketing campaign. I believe it is a complete transformation of the way Rainforest will do business in the future. As of now, the technicians are out working and I hope making numerous up-front agreements at this very moment. This idea is innovative and sets us apart from all the rest. When exploring your forest, keep off the tundra and don't follow wildlife. Seeing the forest through the trees requires that you put every effort into leveraging yourself through systems and processes. It's difficult to do really great and large things on your own, so you create systems and a processes that others can participate in. Show people what to do then get out of the way. With each system you develop, you become more and more free to look beyond to the next process. Each builds upon the other. Use a lever to lift a large rock then get several levers and others can help you move a mountain! If you are huddled down in the forest, there is no way you can get perspective. By standing up and looking beyond the here and now, we see what we are missing. See what's in the distance and bring a better future into the present. Be the leader you were born to be, put your lever down, get perspective and see the forest through the trees. Reality is the same at all times but your response can be different depending on your perspective and state of mind. Before you take action, step back, breath, give it some extra time and take another look. Know the consequences of your decisions and measure your reaction to events. Change your state then change your reality. As I work to build a great brand for Rainforest Plumbing & Air, I learn many things along the way. Whether this education comes formally or by experience, it's all worth something and certainly worth sharing. This site is where I share thoughts and tips to remind myself and help others to see the forest through the trees. After years of blood, sweat and tears, I share a few lessons here on life and business. Many of these articles have been published in Apartment News, a monthly publication for the multi-housing industry in Phoenix AZ and the surrounding metropolitan area. These three points drive all of our culture, marketing, training and day-to-day focus in order to provide the very best customer service in the business! Every employee has these three points memorized! We get the job done right with no surprises because we are TIMELY, ACCURATE, FAIR, COMPLETE, CLEAN and SAFE! I am dedicated to creating a legacy in building a great brand called Rainforest Plumbing & Air by focusing daily on my pyramid of governing values which are ACCOUNTABILITY, STEWARDSHIP and CHARACTER! It is a pleasure for me to share that I am a member of The Church of Jesus Christ of Latter-Day Saints. Go to Me on Mormon.org to read about My Story as a Mormon. You can go here for a video Overview or watch a video about the Book of Mormon or Joseph Smith. Go here to learn about Our Values and Our Beliefs. You can also go here to Request Missionaries or ask for a Free Book of Mormon. Here is a great video about the church having a global reach. Can Social Media Help Grow My Business? What's In A Company Name? Rainforest Plumbing & Air provides service and repair for PLUMBING, DRAIN, COOLING, HEATING and REFRIGERATION systems for both commercial and residential applications in Phoenix AZ. 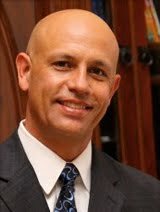 For a comprehensive list of the services we provide, see www.rainforestplumbing.com. Hopefully, you've experienced our service and are totally satisfied. If you have a moment, would you go to one of our review sites and post a comment? These 5-star online mentions keep us listed at the top of search engines. Links to many of the popular review sites are found at: www.rainforestplumbing.com/reviews. Your help is greatly appreciated. You may also post a review on our facebook page at www.facebook.com/rainforestplumbing. 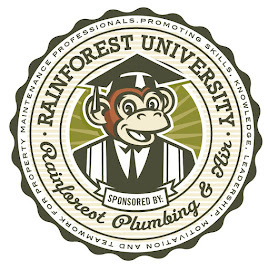 Ryan Forest is the official mascot of Rainforest Plumbing & Air. Click here to like him and be his friend! Promoting skills, knowledge, leadership, motivation and teamwork for property maintenance professionals. AquaOne Technologies Toilet Guardian is a scam! Use FloodStop instead. Ike Tippetts. Simple theme. Powered by Blogger.